the user driven knowledge base of LSAT explanations. I will also be working on generic test information, prep resources and information, and question strategies. To use 180pedia, simply navigate to the core directory of LSAT Explanations, located at Every LSAT Practice Test. Select the test you are working on or the test that the question you are working on belongs to, and, finally, click on the respective LR question, logic game, or passage. While a bit more complicated, you can easily navigate to any question easily by typing the following into your browsers’ URL depending on question type. where the first # refers to the PT#, the second # refers to the section number, and the final # refers to the LR question number, game number, or passage number. Each LSAT PT directory will contain a link to every question in that test. In addition, there will be a table for the score conversion, answer key, and links to other explanation sources. On each question page, you will find our user submitted explanations where as well as links to explanations for that specific question from 7Sage, LSAT Hacks, Manhattan Prep, PowerScore and Velocity Test Prep. PTs are also accessible the following way. where the # refers to the PT number or designation. 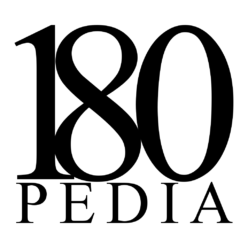 180pedia uses the standard notations common among other prep companies. Presently, user submissions are disabled, but the site’s directory functionality remains live. Access to the core functionality of this site will never require payment or be behind a paywall, so you can know that your contributions will be immensely appreciated by future students as well as helpful in their preparation for the LSAT. In the future, some supplemental paid services and advertisements may be added to help generate revenue to support the costs of running the site, but the core functionality and all explanations will always be here and will always be free to access so long as the site remains operational. If you have any concerns, questions, or suggestions, please contact 180pedia@gmail.com!